Effective branding requires clarity, frequency and consistency. 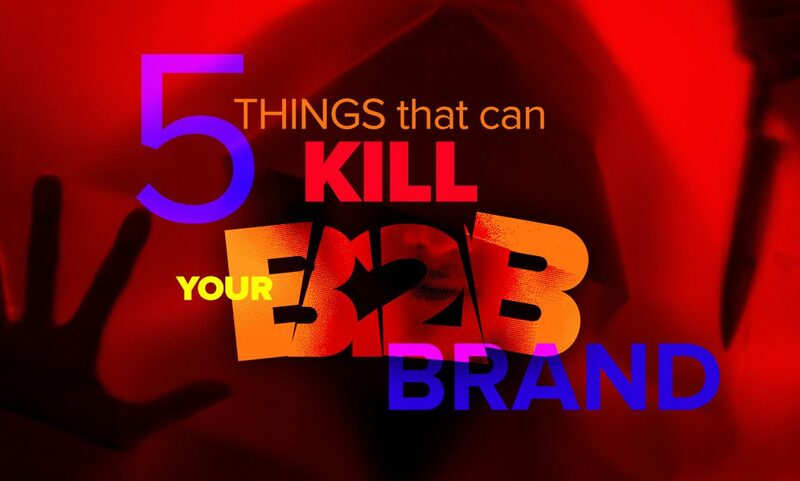 That can be challenging for small B2B companies who need to keep their focus on new business efforts and may not have the resources or time to focus on the brand. In this environment, it’s especially important to be aware of the hazards that can damage your brand. When marketing budgets are tight, the opportunities to promote the brand are few, which makes it even more important that the brand be clear and consistent. Keep in mind that each impression may be the only impression, so try to look at every social media post, every ad placement and every trade show promotion as a building block that relates to every other building block—all working toward a consistent expression of the company brand. Marketing is often undervalued in small companies and as a result, marketing people tend to come and go. Each new marketing director comes into the job wanting to make their mark. This is natural, but can also be detrimental to long term efforts at brand building. The brand precedes the individual and should outlast the individual. That doesn’t mean the brand can’t be updated or changed, but when considering a rebranding effort, it’s important to consider the brand recognition that exists within the market. Unless the company’s brand is badly damaged, consider building upon that recognition rather than discarding everything and starting over. In-house design departments are often populated by young designers with freshly printed degrees just looking to spread their wings and show the world how creative they can be. On their first day at the new job, they’re handed the company’s design guidelines and quickly realize that creative freedom is not included in the job description. This leads to one of three outcomes, two of which are bad. 1. The artist adapts and learns to work within the guidelines, understanding that they have a responsibility to project, and protect the brand. 2. The artist becomes disillusioned and looks for work elsewhere. 3. The artist disregards the guidelines, unable to hold back the burning desire to express their creativity, regardless of the impact that it has on the company’s long term branding goals. For twenty years, the company’s brand color was orange, but the color reminds the new V.P. of Marketing of the couch in the house where they grew up—so a new brand effort is undertaken. Twenty years of work by the company to build awareness of a brand is abandoned because of the personal taste of one individual. Yes, color matters. Words matter. Images matter. It’s great when everyone loves the company’s brand, but it’s important to separate personal tastes of from what’s best for the company. “I’m so tired of our brand.” This comment is often heard in regard to the company’s color, style, typography, or graphic images—and it often comes only months after launching the new brand. Breathing life into a brand is always worth considering, but be aware that just as you may be getting tired of seeing it, it’s likely that the audience is only just starting to recognize it. The common denominator in the hazards described above is that they are internal issues which, left unchecked, can do great damage to a company brand. These are just five of the reasons why it’s wise to seek guidance from an outside expert whenever a rebranding effort is being considered.